Searching for growth this spring? Bring home a new plant with painted pot or create a dreamcatcher to guard your nights. Join our MiniJams at Arlo Soho Spring Fest for special Earth Day celebration dedicated to Mother Nature! Succulents are suitable even for people born without a green thumb. They are super easy to maintain and they elevate any space. 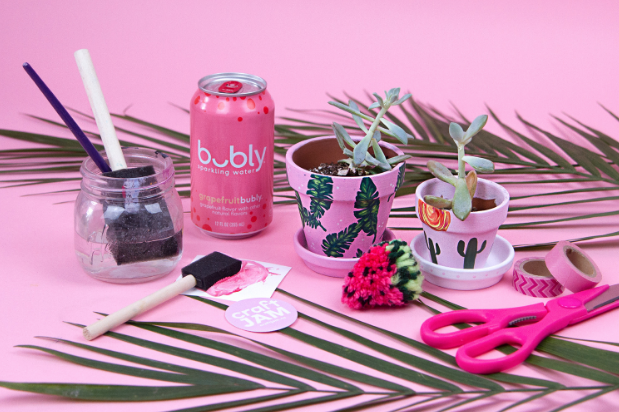 Paint a cute succulent pot in this MiniJam and plant it with the most adorable succulent. This workshop is beginner-friendly; no experience necessary! And we’ve got all the materials you’ll need, including an assortment of acrylic paints, ceramic pots and succulents to choose from. This event is not BYOB, but Arlo Soho has gotcha back! They have an amazing bar to serve all your favorite drinks!